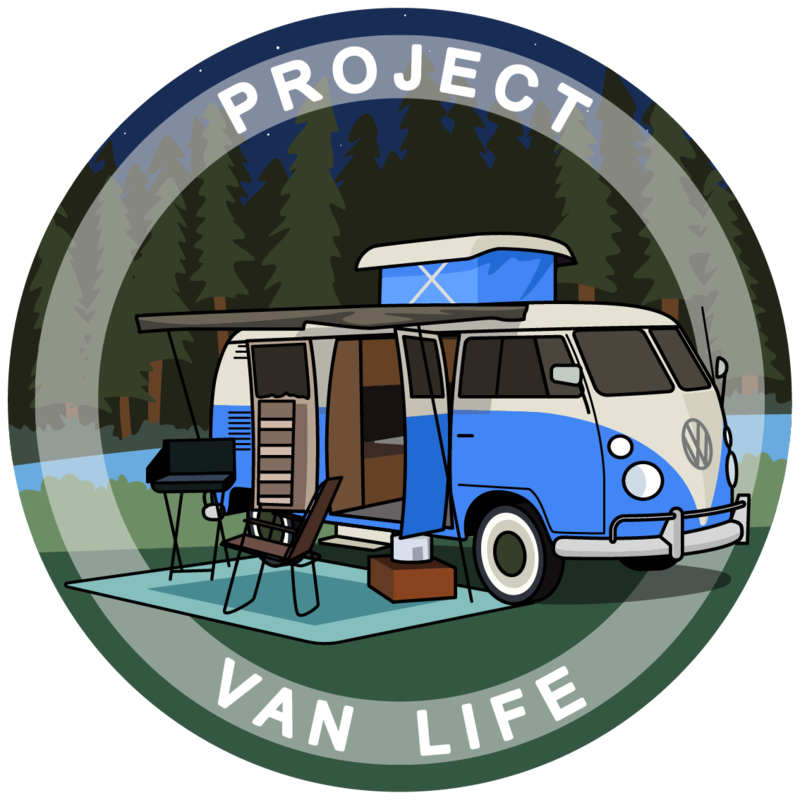 I was super excited to start the van dwelling adventure but have slowed down in the last few weeks, even though I kept researching. I’ve decided to start with a minivan, because I intend to travel a lot in the first year of having it and don’t want to spend as much on gas as with a larger cargo or other van. And also, it would allow for minmial conversion which I could test drive and see if it’s for me. If I decide to ditch it, I can resell as a minivan without having invested too much inside. If I decide to upgrade to a larger van, I can resell and do that too. I’m wondering if other minivan folks can provide insight or guidance into choosing and buying a van at this point. I was set on Dodge Grand Caravan and I went to check out a few, but then started considering Toyota Sienna (and maybe Honda Odyssey) as well. Although they are pricier, they have interesting features. Siennas have AWD option, and 2nd row windows that roll down (I would feel claustrophobic in a Dodge and not able to open the middle windows and only small opening on the rear windows!). What should I be looking out for? I’m also wondering how strict should I be with years that were rated as being more problematic? For example the 2007 Siennas have more problems than other years (according to carcomplaints.com). Should I avoid years like that altogether or is it worth checking how well it was maintained and getting one inspected to make sure? More than anything I want a reliable vehicle, even if it means a bit of a higher investment initially. This will be my actual home for a while! I am a Toyota fan. I am on my 2nd RAV4. I am still a few years from full-timing in it, but am using it for weekends and roadtrips. The rear seats fold into the floor, creating a cargo space for my cot and camping potty. Storage bins fit under the cot. I use stacked milk crates facing out of the rear hatch door to create an outdoor galley. I have a Rightline Gear SUV tent with a Bass Pro Shop Deluxe Kitchen to use as a home base when I stay for more than a couple of days in one place. I get about 24 mpg on highway travel. It is a simple set up, but suits my needs and budget. Many of the Dodge Caravans and Honda’s had transmission problems, not sure about the Sienna. I am in favor of cheap and removable without a trace conversions. I’ve got a cheap, old, hightop, extended length, camper van that gets 18 MPG on the highway. I wouldn’t trade the comfort and reliability of my van for one that got better gas mileage. Combine that with all the expensive problems all the newer stuff has, and you’re spending more on repairs than you’re saving on gas. Of all the rigs I’ve had, one’s from the 70’s & 80’s seemed to be the sweet spot for reliable, low maintenance, and lowest cost of ownership. Gas mileage is only a small part of the bigger picture. Low mileage Honda Sienna tops for reliability and mpg but really hold their value, double-edged sword that. Super stealthy in soccer-mom territory if left vanilla, even downtown NYC or San Fran. But very tight on space. For domestic Chevy GMC safe to buy even 150K, knowledgeable wrenchers and cheap parts anywhere, much cheaper than foreign can get crazy ex-gov or fleet auction deals, often well maintained. But may have that sketchy-white-van down by the river vibe if trying for dense residential stealth, more for commercial areas. I just bought a 2007 Honda Odyessey myself. I looked at all the different kinds of Vans out there, and almost went with a caravan even though the lack of opening windows is a problem. The Odyssey has second row windows that roll down and more space inside than the caravan. Sane thing with the Sienna. Many of the 2007 Hondas are members of the high mileage club going 400-500 thousand miles and still going strong. No van model or year is ever perfect, but given that the Honda and Toyotas from that era were the best selling minivans of their time, I’m really happy with mine! Thank you for this! Good timing as I’ve been doubting whether the Sienna is worth the slightly higher cost and am about to go check out an Odyssey and Kia Sedona today as well - broaden my perspective on minivans a bit. You are most welcome! I’m glad I could help! Good luck on your hunt, I hope you find a great van! My Odyssey is such a pleasure for me to drive and gets slightly higher gas mileage than the Caravans do. I get 17-19 around town and 26-30 on the highway. Again, good hunting! In case I can’t find a suitable minivan, I’m also reconsidering a friend of a friend’s chevy express 2003. It has 150k+ miles and is already converted and has solar panel, goal zero, fridge etc. She’s selling for 5000 CAD. Can I trust that kind of vehicle with that mileage to not breakdown and leave me stranded, and also to not be a money pit in repairs and maintenance? What would I need to worry about with it at its age and mileage? Would it be a better choice than a newer minivan with less mileage, if so how? Just trying to get some perspective and open to factoring in what I might be missing. Thanks for your insights! Also space and comfort are secondary for me - mostly need reliability and low cost. I can adapt to whatever gives me that peace of mind. I had a 2003 Chevy Express, and at 60k miles it was a money pit, over $5k in repairs, by 80k miles, it needed another $3400 in repairs before I dumped it. I don’t like anything new enough to be computerized, every one of them I’ve had was a money pit and unreliable. The old vans I’ve bought for under $1,000 were ALL much better vans the ones I paid $15k-$45k for. Just a severe lack of quality and durability in anything newer than the early 90’s. In all fairness, I haven’t had a Promaster or a Transit, but I did have a money pit unreliable sprinter that had under 100k miles on it. The second time they told me it would take 3 months to fix it, I dumped it. Thanks for the input! I think what you’re saying makes sense, and I feel that I’ve been conditioned by those around me with this fear for getting an old vehicle. I also don’t like everything electronic - what’s wrong with manual doors (rather than paying 200$ each time the button that opens it breaks)? Sigh. I’m trying to go for as little of the electronics as possible, but also gently exploring my hesitance of very old vehicles that I know nothing about. Anything new enough to use unleaded gas, and old enough to not be computerized, are the best vans ever built. They’re the most reliable, and the easiest to fix. Passenger vans are different than cargo vans. Passenger vans usually have had owners that loved them and took care of them, while cargo vans got beaten to death, and jimmy rigged to keep them on the road. There are still plenty of old, low mileage, well maintained, immaculate passenger vans that can be found very cheap. The best vans I’ve ever owned cost under $1,000 and I’m living in one of them. It will have a lot to do with your budget and mechanical knowledge. Personally, I’ve found that vehicles built between 96 and 03 are the sweet spot for me regarding initial cost, reliability, and availability/cost of parts. 96 is the year obd2 computers became mandatory on new vehicles. This basically means your can get the reliability and efficiency that comes with a computer controlled engine without all the extra doo dads that tend to break. You’re on the right track with checking carcomplaints.com. just avoid anything that has a tendency blow out head gaskets or transmissions. Japanese vehicles generally have a tendency to be more reliable but ultimately cost more to buy and fix. American vehicles will be cheaper and much easier to find parts and mechanics for. The only way is take a European vehicle is if it was free, and I’d probably sell before I had to do any work on it. Just my two cents. Been vanlifeing it in a minivan full time for around 5 years and with two of us for the past two and we love it. Low profile so we can boondocks just about anywhere. And great gas mileage so it cost very little for us to travel anywhere we want to go. Our first van was a 2000 Pontiac Montana which Was fine and our second van is a 2003 Honda Odyssey has been fantastic and we really enjoy the reliability of a Honda.